It looks like the next iPad model or the iPad 2 is indeed ready to launch during the winter holiday season and some authentic reports reveal that it has a new 7 Inch design. IDG News translated a report from Economic Daily News saying Taiwanese companies have won a number of component contracts for the iPad 2. Chimei Innolux will supply 7-inch LCD screens, which use the same IPS (in-plane switching) technology found in the original iPad, which improves viewing angles and colour on LCD screens. Touchscreen technology for the screens will come from Cando Corporation, the report says. 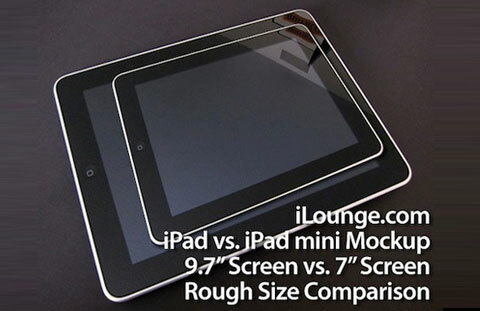 The talk about a 7 inch iPad has been doing rounds for a while and other sources like Digitimes and iLounge have also reported on the development of a smaller iPad than the original 9.7 inch model. Apple has sold a record number of iPads since launch and a new smaller and sleeker version is sure to capture fans’ attention once again. It’s not hard to guess what a lot of people will be giving and receiving as a Christmas gift this holiday season. Yes, it's a clever move to launch the smaller iPad right before Christmas so that people bought them each other as presents 😉 Actually, I think this device is gonna be great. 7 inch screen will be more handy to use, and maybe Apple will improve some other features of the existing iPad. Previous post: Turn Any Surface In To A TouchScreen, It’s Like Magic!